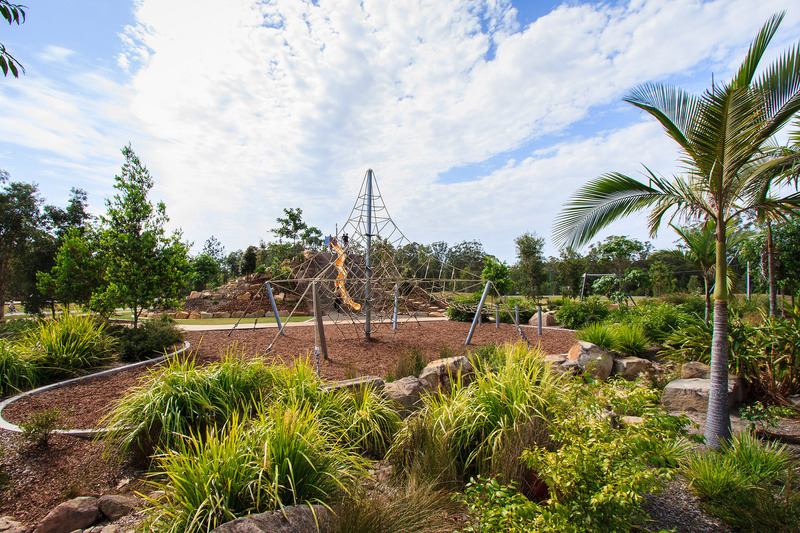 Skippy Park in Landsborough, was developed in partnership with local communities after studies showed the need for more open space areas for growing Glasshouse Country communities. 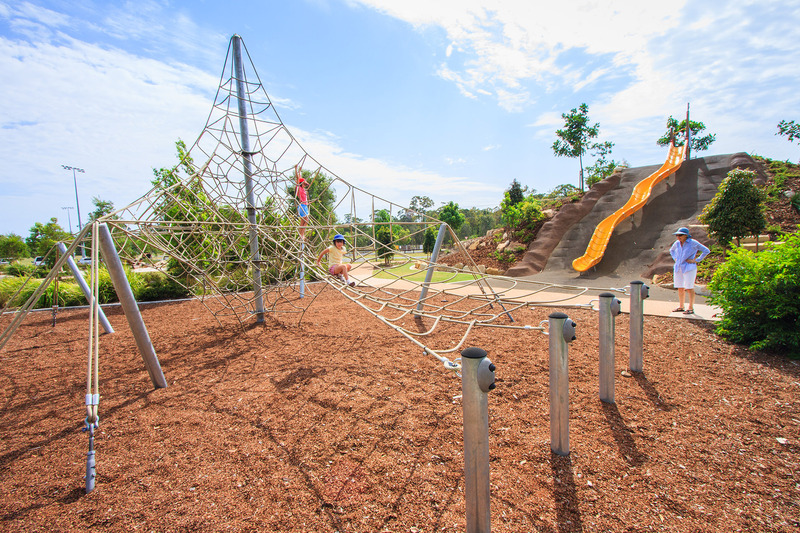 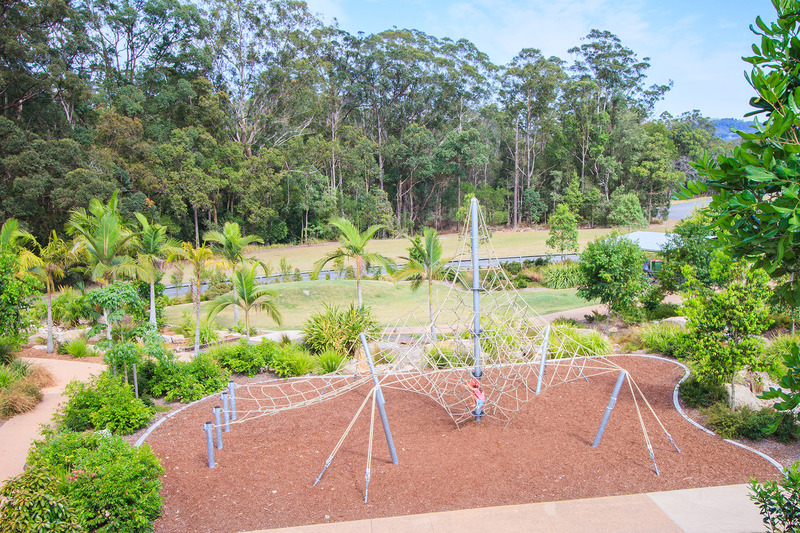 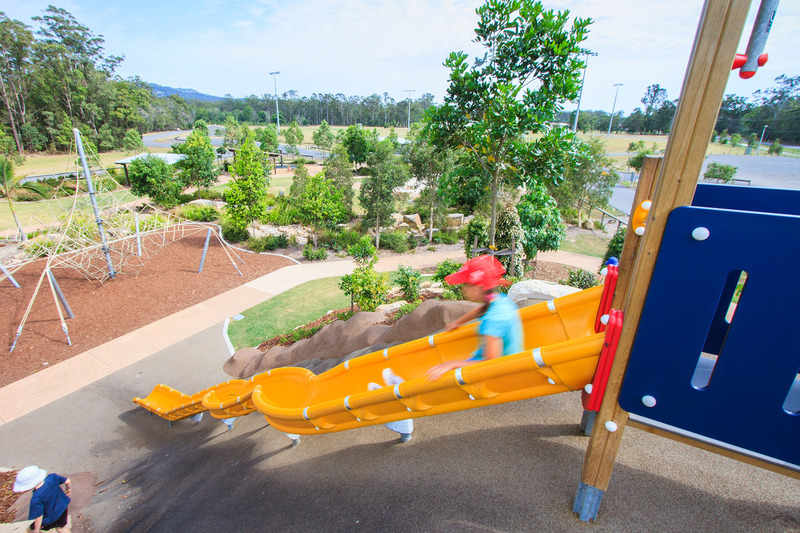 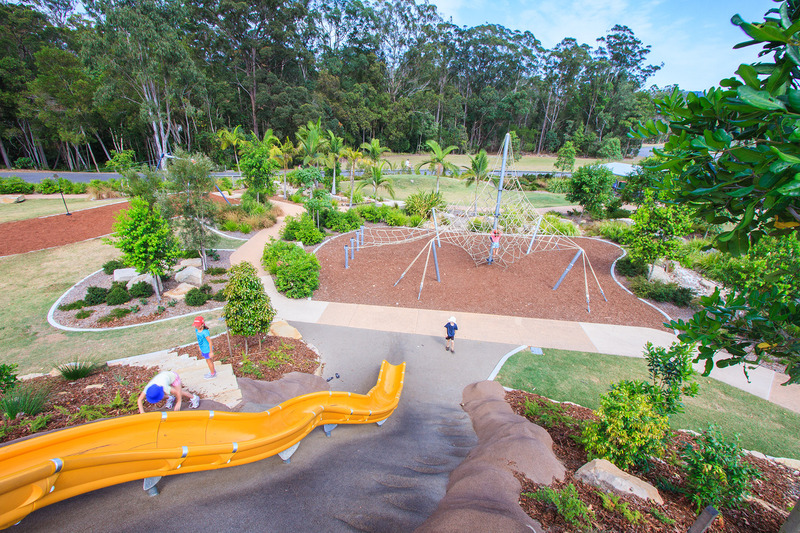 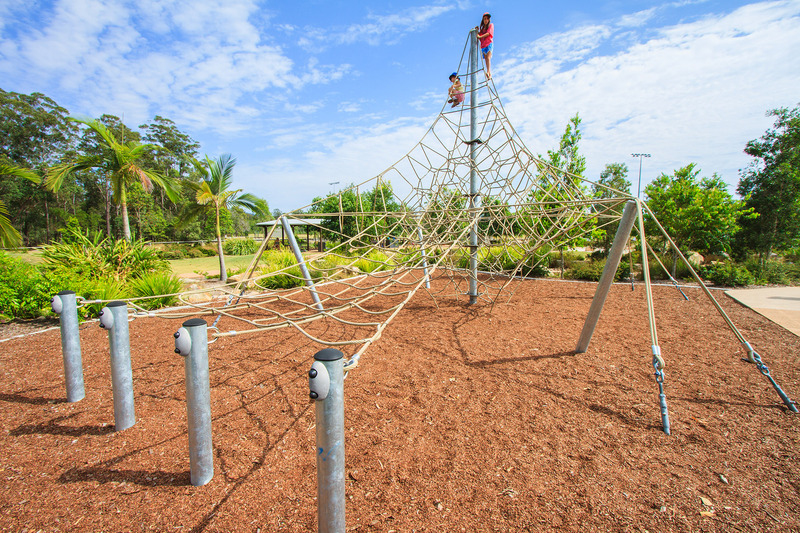 With a focus on public recreation and preservation of the existing environment, Sunshine Coast Council’s vision was to provide a children’s play space promoting activity and discovery within the natural environment. 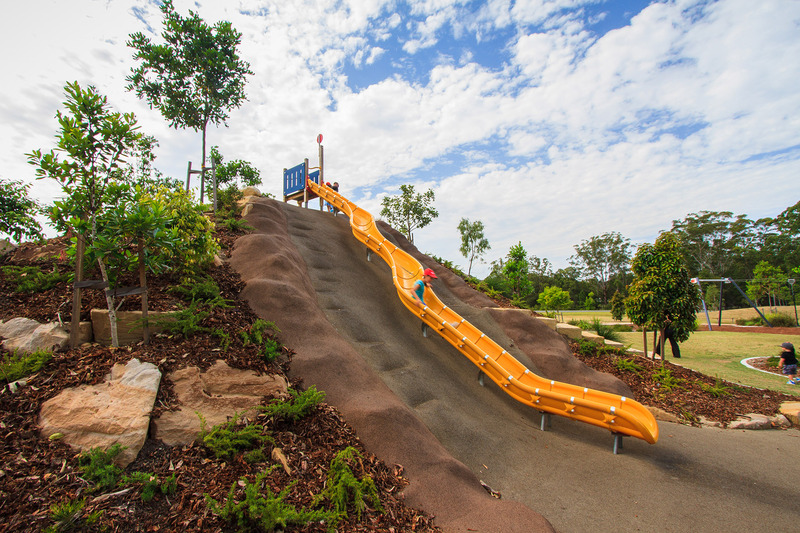 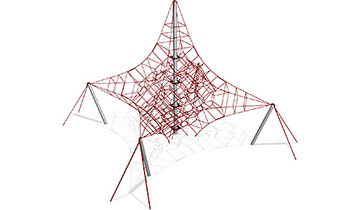 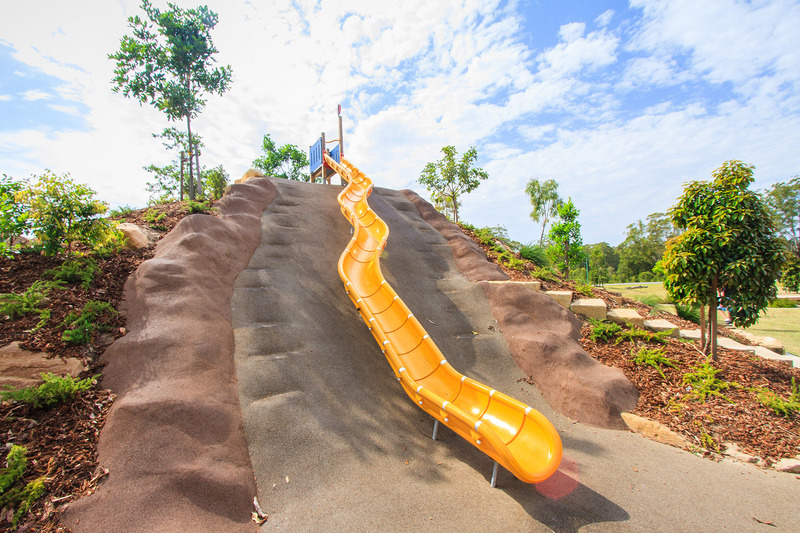 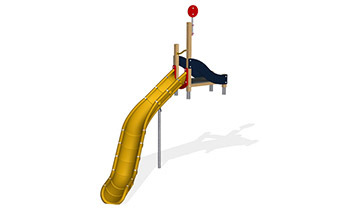 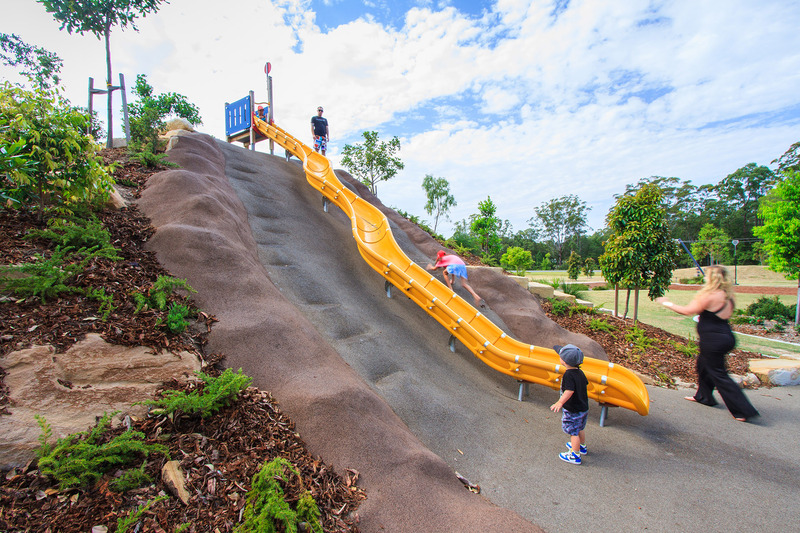 A custom 9m open embankment slide was designed for the project providing a unique vantage point for children to survey and interact with the surrounding landscape. 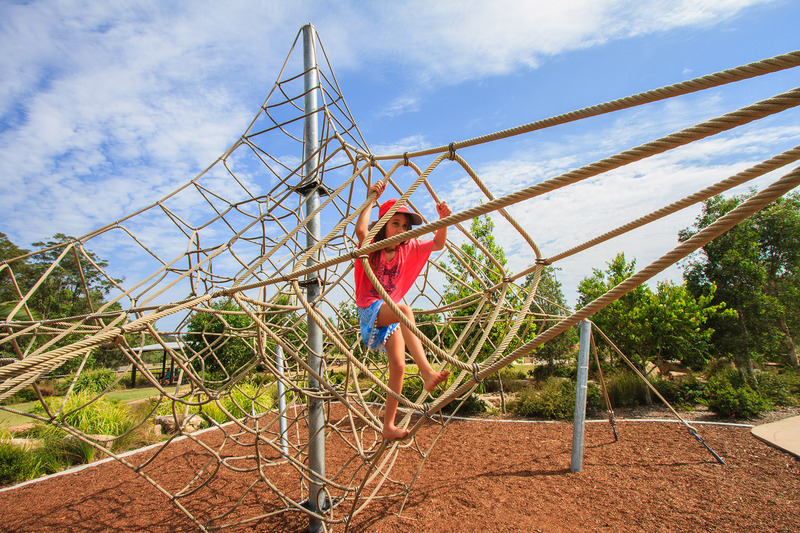 A Corocord Octanet challenges developmental skills through balancing, swinging and hand over hand movement, allowing small explorers to discover themselves and the endless world of climbing possibilities.